This is a realistic 3D model of the Pump industrial. Industrial pumps and electric pump units on their base intended for pumping abrasive slurries with high density, with solid inclusions volumetric concentrations of up to 52%. Pumps units included in the material flow part and the hull structure may be different. Apply pumps for pumping of slurries with a maximum particle size of solids up to 23 mm. 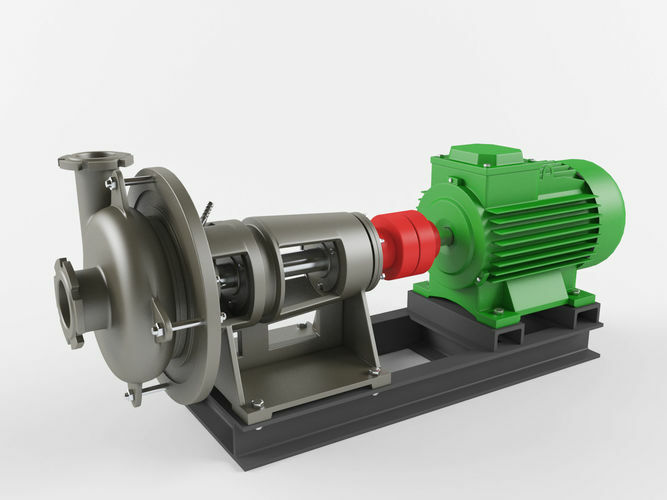 Pump model is made according to the drawings in the program 3d Max 2014. Available as original drawings of the pump. This model is ideal for photorealistic visualizations. Unpack the format you need and run in 3D editor. I hope you enjoy my work. Thank you. Very impressive model, much more than a shell, internal machine components are realistic and "functional". Megagers was very helpful answering my questions.